When I woke up on July 18 of last year to see that DeMar DeRozan and Jokab Poeltl had been traded to the Spurs for Kawhi Leonard, Danny Green and a first round pick, I thought two things. 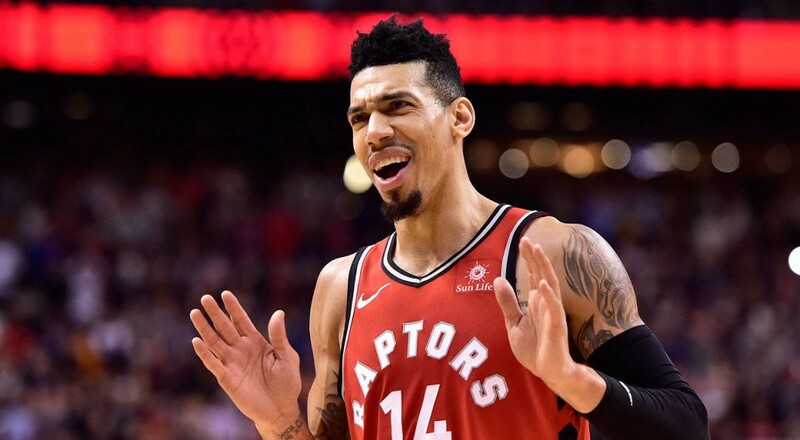 Second, I thought how the hell did the Raptors also get Danny Green? Was it a typo? Did the ESPN push notification guy (or gal) drink too much the night before? Kawhi Leonard and Danny Green? Are you kidding me? So, after the trade, when I heard people referring to Green as purely a throw-in, I was ready to throw down. But instead I took to Twitter, tweeting to anyone who’d listen that nothing could be further from the truth. There’s no question that Leonard was the centerpiece of the trade. And Green is no Steph Curry or Clay Thompson. But to overlook his value to a team would be a massive mistake. If you’d been following the NBA for the past eight years, you’d known the type of player Danny Green is. A role player, yes. But a highly effective one at that. He was the starting shooting guard for a Spurs team that appeared in back-to-back NBA finals, winning it all in 2014. He’s an elite 3-point shooter, up there on the Spurs 3-point Mount Rushmore with Chuck Person, Steve Kerr and Bruce Bowen. And he’s an elite defender, making the NBA All-Defensive team in 2017. Basically, he’s the 3 and D wing the Raptors had desperately been searching for (sorry DeMarre Carroll). But none of this seemed to matter (or none of this was apparent) to Raptorville. Because not only did people refer to Green as a “throw-in,” they were also questioning whether he should start. Guess what? If he can start on a Gregg Popovich championship Spurs team, he can start for any team. Raptors included. None of what Green did in this game came as a shock to me. Not the seven 3s in a quarter — a Raptors franchise record. Not the eight total 3s, which matches his career high. Nor should it have been a surprise to anyone. Like I said, he’s been an elite 3-point shooter almost his entire career. He’s just not getting the ball enough to show it. Perhaps a better analogy is playing with one hand tied behind your back. A 3-point hand that can get very, very hot. If the Raptors want to have any success in the playoffs, this needs to change. Not including Jordan Lloyd and Chris Boucher, it’s the best percentage on the team by leaps and bounds. The next best is Leonard at 36.8%. Yet Green still doesn’t get the touches he deserves. It goes without saying that the Raptors will desperately need Green’s 3-point marksmanship in the playoffs. As the games slow down, there will be fewer transition opportunities (sorry SpicyP) and much more half-court offence. The Raptors are one of the worst 3-point shooting teams in the league, shooting just 34.3%, which ranks 24th. Yet they’re 5th in attempts. Yuck. Let’s look who’s taking the shots. Other than Green, the majority of 3s come from an ice cold C.J. Miles (28.9%), Serge Ibaka (28.9%), an injured Kyle Lowry (31.1%), Pascal Siakam (31.6%), OG Anunoby (33.8%) and Delon Wright (34.1%). We can give Fred VanVleet and Kawhi Leonard as pass here because they’re at least both above 36%. It’s not that you don’t want these guys taking 3s because you do. It just shouldn’t always come at the expense of your best 3-point shooter. So far, the Raptors have chucked 1582 threes this season. Green has launched 252 of those, which means he’s only shot about 16% of the team’s total 3-point attempts. For a guy who’s currently shooting 42.1% from deep, that’s not nearly enough. And Green is left holding his green ranger. Yes, Leonard is their best offensive threat and should get a lot of the touches. As should Lowry, a much improved Siakam and a re-energized Serge. But would it hurt to draw up a few plays to get your best 3-point threat open? After the Grizzlies game, Nurse said there was only one set play for Green. Just one. And Nurse only did so after Green started draining multiple 3s. Now, it’s obviously not as easy as just giving Green the ball. Many teams are keying in on Green defensively. They know what a threat he his, especially when he gets going (which the Grizzlies found out the hard way).